During the course of this extraordinary journey, the riders become a part of the breath-taking landscape, almost ‘at one’ with the surroundings, and get to see historical monuments and scenery which might be missed on a more conventional Safari. 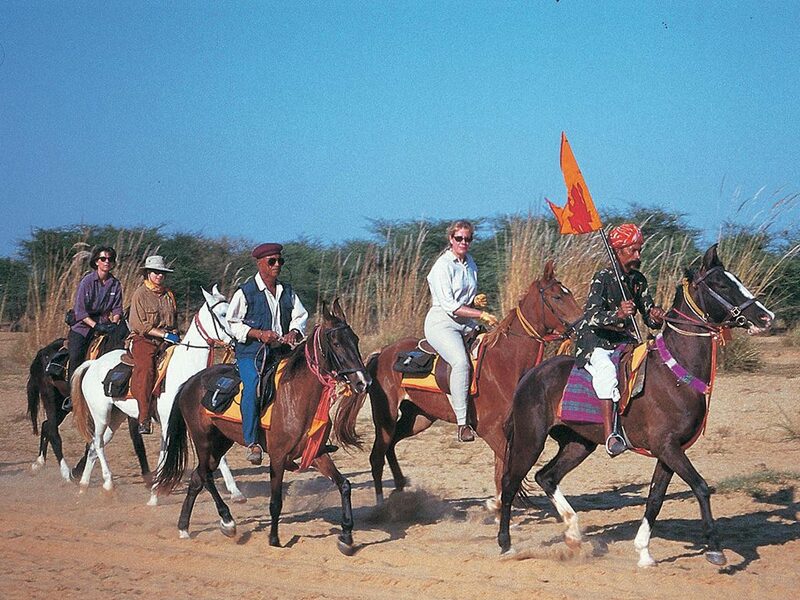 Add to this, the expertly schooled horses and professional guiding, you will have the Safari of a lifetime. Stay in exclusive heritage hotels. 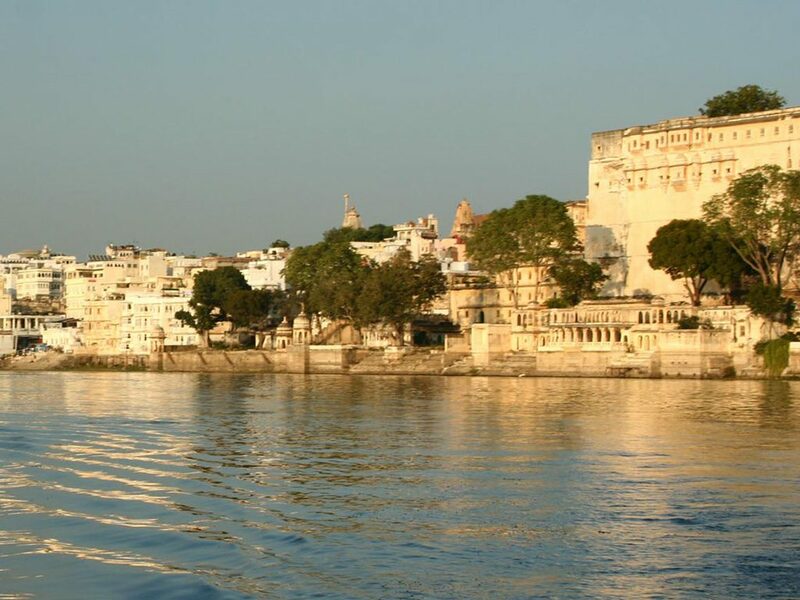 A grand heritage palace standing majestically along the shores of Lake Pichola in Udaipur, Fateh Prakash Palace was named after Maharana Fateh Singh - one of the greatest rulers of Mewar dynasty. Converted into a heritage hotel par excellence, this magnificent palace features distinctive turrets and majestic domes, and is a treasure-trove of exquisite chandeliers and priceless paintings, unique crystal and crockery collections. Its antique furniture, its Durbar hall with portraits of Maharanas of Mewar and its Crystal Gallery has kept the spirit of the palace alive. A stay here gives the guest a taste of the royal lifestyle. All modern amenities have been provided for the convenience of the guest. The palace offers 21 Dovecote Rooms and 44 Dovecote Premier Suites. Suites have period furniture, portraits and original miniature paintings. All room and suites with private sitting areas. Room facilities include air-conditioning, international direct dial telephone, satellite TV and mini-bar. Ghanerao Castle, standing over the village of Ghanerao, is a showcase of magnificent Rajput architecture built of marble and sandstone. The heritage property still exudes nostalgic air of the erstwhile glory and tremendous lifestyle lived by the noble family that owns it. The castle has 17 beautiful rooms, no two room are alike or even on same floor, though each does have its own private veranda or terrace. The castle also has added a dining room and swimming pool and thoughtfully placed furniture around the sun-drenched courtyards and terraces. Stately and proud, overlooking the Aravalli Range, the Leela Palace Udaipur stands majestically on the shores of the tranquil Lake Pichola. The décor is fitting of a palace, regal and colonial, yet deepened with rich Indian cultural tones. No matter which room you take, you'll enjoy spectacular views of the lake, mountains, or the intricate architecture of the city. The hotel promises luxurious stay with its 72 Rooms and 8 Suites are finely appointed with artifacts and furnishings representing the handicrafts of Rajasthan. The hotel also offers the facilities of ESPA spa, yoga instructions and meditation sessions to relax your body and rejuvenate your spirit. The guests can choose from a variety of dining options which includes all day dining restaurant, lake side restaurant, dining under the stars on the roof top restaurant and an intimate lounge bar. Half an hour drive out of Udaipur takes you to this restored fort-palace of mind-boggling luxury of RAAS Devigarh. Where once bats and eagles roamed, its custom - designed, minimalist interiors, a symphony of tones and textures of creams and whites, greys and silvery sheens in the range of fine fabrics and furnishings, are a stunning foil to this 18th century palace resort's sumptuous blushing exteriors. An imposing and impressive structure, it is now a unique all-suite boutique hotel, with 23 suites and 7 tents. Little wonder that it was listed amongst the prestigious Tatler Travel Guides 'Top 100 Hotels in the World', triggered off by the lashings of luxury and world-class glitterati showcasing, still very much in evidence since its the celebratory bash of the Millennium when Devi Garh opened its portals to the world. Massive bay windows frame the grand vistas of the Aravalis and the ancient Delwara village with its 14th century Jain temples. Riding and picnics, treks and village walks fill your days marked by the pampering on offer by the Serena Spa and luxurious dips in the open-air Jacuzzi. The fantastic Devi Garh Suite and Palace Suite, sharing a private black marbled swimming pool, still as glass and cool as a mountain stream, are to die for. Indulgence - pure indulgence awaits you here. The 17th century fortress was gifted to Maharaja Ajit Singh by his brother Maharaja Umaid Singh of Jodhpur. Once a favourite hunting lodge of the family, the fortress has today been converted into an exclusive heritage hotel. 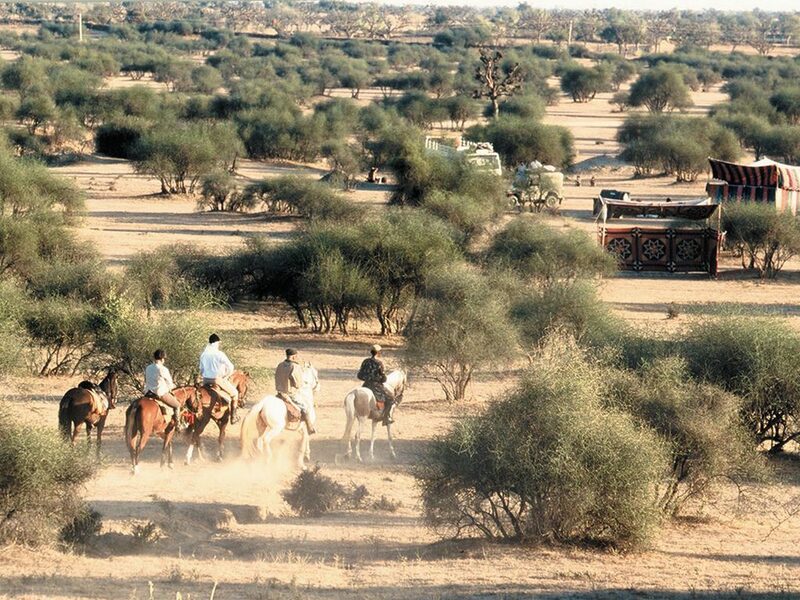 The 32 well-appointed rooms at Rawla Narlai are a marvellous extension of Rajasthan’s regalia. Replete with meticulously restored architecture and lavish ambiances, these rooms exude a charming feel of the Royal Rajasthan. Adding to that, the aristocratic tents at Narlai add to the excitement of living in Royal Caravan. The fortress is full of surprises, courtyards, stained glass windows in some rooms, murals, carved pillars and covered verandas add to its rustic charm. Located in the heart of the village, its huge wall keeps the outside noises at bay and there is a sense of peace and calm in the atmosphere. Rana Kumbha the legendary Mewari hero, an astute and a great builder constructed 32 of the 84 fortresses in Mewar. Of these, the most imposing one is Kumbhalgarh - set amidst, 36 Kms of twenty feet thick ramparts and 365 temples. Hotel Aodhi is built into the mountain side a short distance from the base of the citadel. 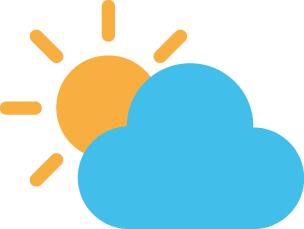 A joy for nature lovers it is surrounded with greenery and wildlife. 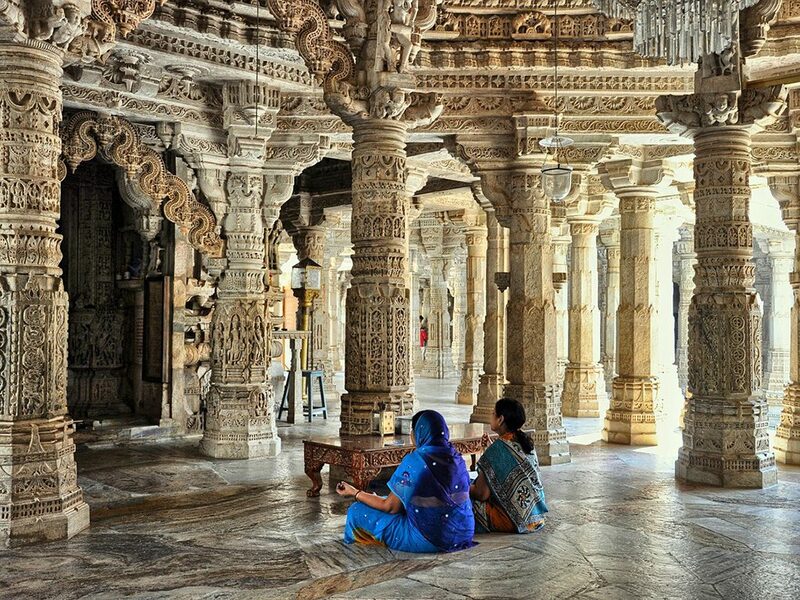 It is also within a short driving distance from the famous 15th century Ranakpur Jain temples. If you are looking for the serenity and calm of the countryside away from the congestion and the rigors of city life, this is just the palace for you. The unpolluted greenery harmonizes very well with the modern comforts and the warm hospitality of the Aodhi Hotel.